80' Luxury Yacht Aquarius built by Cheoy Lee in 2008. Will be available for charter in the Caribbean this winter season. AVAILABLE FOR CHRISTMAS AND NEW YEARS!!!! 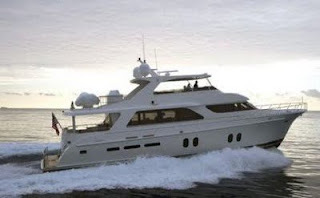 $33,000 for a one week charter or $29,500 per week - 10 day minimum. The master stateroom is located below and mid ship. She features a king size walk around bed, his and hers bathrooms with large shower and well appointed luxurious decorations. There are large cedar lined closets and flat screen TV and entertainment center. The VIP guest room is also located below and forward of the master stateroom. She features a queen size bed, spacious stateroom and large bathroom with shower. She has three large cedar lined closets, a flat screen TV and full entertainment center. The second VIP stateroom is located forward and features a queen size bed, spacious stateroom, cedar lined closets, flat screen TV and full entertainment center.